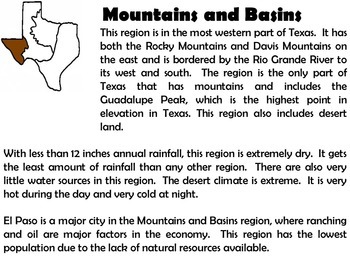 This product contains readings for each of the 4 major Texas Regions (Coastal Plains, North Central Plains, Great Plains and Mountains and Basins). 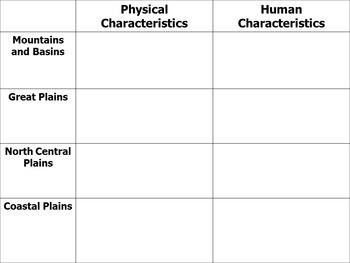 There is also a chart to help students identify and arrange the physical and human characteristics of each region. Answers are provided.